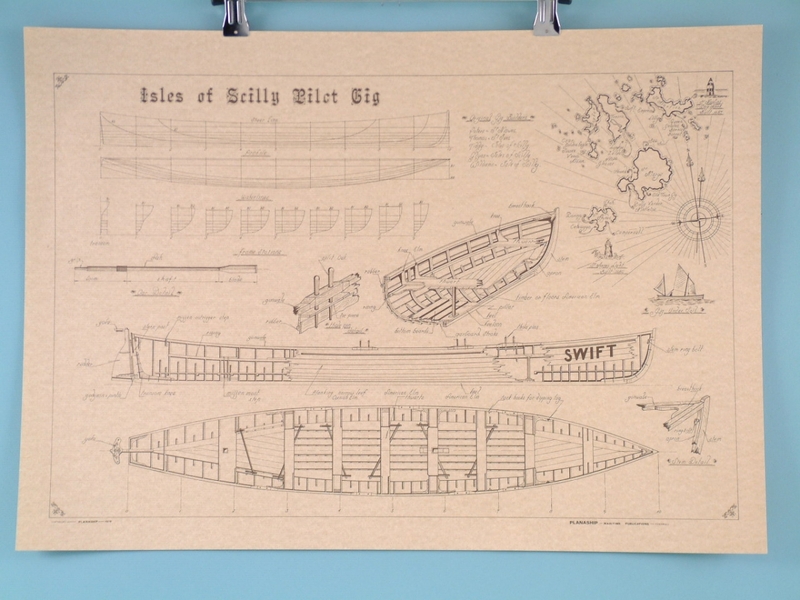 > Planaship & Posters>Planaship Posters>Scilly Gig "Swift"
A detailed Planaship poster depicting the design of the Scilly Gig “Swift” would be perfect for anyone’s wall. 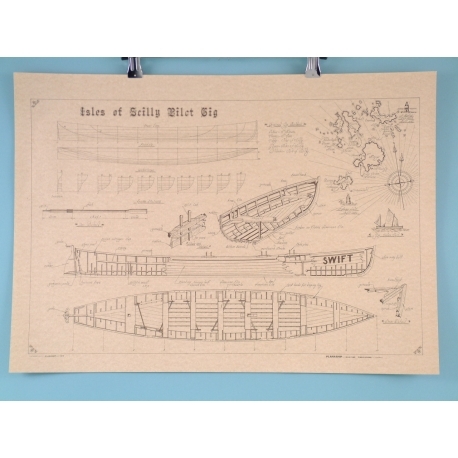 The construction of the ship, as well a map of the Isles of Scilly, is outlined on the parchment. The quality and intricate detail should be proudly displayed, whether that is in someone’s home or for an establishment. The stunning Isles of Scilly are located on the coasts of Cornwall and are protected by sandy beaches. This detailed drawing shows a piece of history that is sure to spark conversation to whomever sees it.